From her passion for animals to her storybook love affair, to her hard-fought crusade to save Kenya's beautiful Lake Naivasha, WILDFLOWER is naturalist, filmmaker and lifelong conservationist joan Root's gripping life story - a stunning and moving love story featuring a remarkable modern-day heroine. After 20 years of spectacular, unparalleled wildlife filmmaking together Joan and Alan Root divorced and a fascinating woman found her own voice. Renowned journalist Mark Seal offers this breathtaking, culturally relevant portrait of a strong woman discovering herself and fighting for her beliefs before her mysterious and brutal murder. 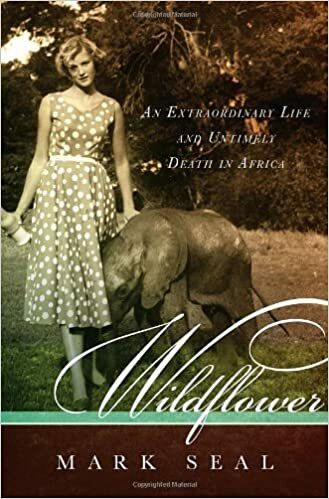 With a cast as wild, wondrous and unpredictable as Africa itself, WILDFLOWER is a real-life adventure tale set in the world's disappearing wilderness. Rife with personal revelation, intrigue, corruption and murder, readers will remember Joan Root's extraordinary journey long after they turn the last page of this utterly compelling book.